Lylianna Allala is an Outreach Coordinator for Congresswoman Pramila Jayapal, U.S Representative for Washington’s 7th congressional district. She is a liaison for the cities of Burien and Normandy Park and leads on environment and natural resources issues. Lylianna is dedicated to working across difference to co-develop solutions that will lead us to a more equitable and just world. She is passionate about leadership development of youth, women and communities of color. Her expertise in strategy development to catalyze change for an inclusive and diverse environmental movement contributed to the development of the RAY Conservation Fellowship. 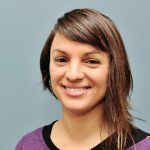 Lylianna has a B.A in English from Winona State University, a certificate in Non-Profit Management from Georgetown University, and a certificate in Wetland Science and Management from University of Washington. A lifelong learner, Lylianna enjoys story telling as a way to develop deeper insights about self and the world around her. Marc Berger is a communicator, writer and strategist, currently serving as vice president at Nyhus Communications, a Seattle-based strategic communications consulting firm. Marc oversees the Nyhus executive communications practice, where he develops thought leadership, executive messaging and other leadership communications for clients in a wide range of industries. 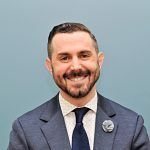 He also manages crisis communications plans and responses on behalf of several clients, bringing expertise in media relations, crisis messaging and internal communications to bear on his work. Marc has over a decade of experience living in, studying, and engaging professionally with China. He devises strategies and enhances engagement for Chinese companies looking to successfully expand their businesses in the U.S. market, and American firms seeking greater connections with the People’s Republic. Marc formerly worked at the National Committee on U.S.-China Relations in New York City, and is a graduate of Columbia University and Wesleyan University. Mónica Guzmán is co-founder and director of The Evergrey, a daily newsletter that helps 9,000+ Seattleites make the most of their city. 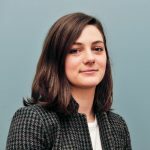 She is a former columnist at The Seattle Times, GeekWire, The Daily Beast and The Columbia Journalism Review, and studied ways to build closer connections between journalists and the public as a 2016 Nieman Fellow at Harvard University. Mónica is the author of the influential 2016 API strategy study “The best ways to build audience and relevance by listening to and engaging your audience” served as vice-chair of the Society of Professional Journalists Ethics Committee, and was as a juror for the 2013 and 2014 Pulitzer Prizes. Mónica’s a big fan of chocolate, karaoke, and nerdy board games, and lives in Seattle’s Wedgwood neighborhood with her husband, Jason Preston, and their two kids. 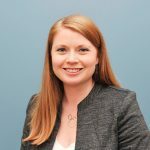 Kelsey E. Knowles is a government and public affairs professional with more than a decade of local, federal, and international policy development and engagement. 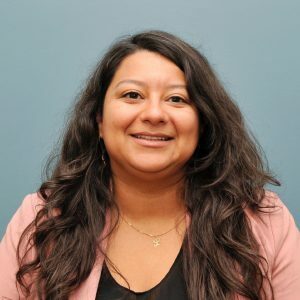 She currently serves as a Senior Local Government Affairs Representative for Puget Sound Energy, working with local governments and communities to support a major infrastructure upgrade through the eastside of King County. Kelsey began her career in Washington, D.C. working for U.S. Senator Patty Murray and continued her time on Capitol Hill in the office of Congressman Adam Smith working on a variety of issues. She later served as the U.S. House of Representatives and Senate liaison for the Millennium Challenge Corporation. Kelsey graduated with her B.A. from the University of Washington and then returned to earn her Master’s in Public Administration from the Evans School of Public Policy and Governance. She lives in Seattle with her husband Grant and her baby daughter Elliott. Carrie Lee is the Sustainability Program Manager for King County Metro Transit. Carrie leads the effort to ensure Metro Transit meets King County’s sustainability and climate change mitigation goals, as well as represents Metro in County-wide and regional conversations on climate action. Carrie is passionate about activating Metro Transit’s role in tackling greenhouse gas emissions from transportation in our region and sees her career as the critical window for addressing climate change. In 2017, Carrie led Metro’s feasibility study that charted a roadmap for transitioning to a zero-emission fleet. Prior to joining Metro, for nearly a decade she was a Staff Scientist at the Seattle, WA office of the Stockholm Environment Institute, an international research institute focused on sustainable development. She has an M.S. degree in Forest Resources and Interdisciplinary Policy Dimensions of Earth Science from the University of Washington and B.A. in Biology from Carleton College. She is originally from New England, but now calls Seattle home with her husband and 2 young sons. 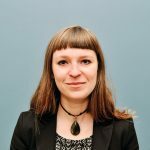 Leah Missik is the Washington Transportation Policy Manager for Climate Solutions, where she helps develop and implement policies that will accelerate our transition to a clean energy economy, with a focus on the transportation sector. Prior to this, she was the Senior Program Manager of Built Green, a green home certification program in Washington State. In addition to her work with Climate Solutions, Leah is on the Executive Committee of Sierra Club Seattle Group where she advocates for climate-friendly actions and policies that address the intersection between urban density, sustainability, and affordability. Leah also speaks Russian and collaborates with Russian environmental activists, translating their work into English. Leah is an alum of Leadership Tomorrow (Class of 2018) and is a Senior Fellow of the Environmental Leadership Program. She holds her Master of Public Affairs from Indiana University’s School of Public and Environmental Affairs, with concentrations in Environmental Policy and International Affairs. She received her B.A. from Kenyon College in 2010. Priya Saxena is the Food Systems Data and Evaluation Lead with the City of Seattle’s Office of Sustainability and Environment. As the first person to hold this role, Priya uses data and equity-focused evaluation techniques to inform City program strategies from implementing the Fresh Bucks Program to the City’s Food Action Plan. Outside of work, Priya serves as the Co-Chair for the Seattle Women’s Commission and as a Board Member for the Washington State Farmers Market Association. 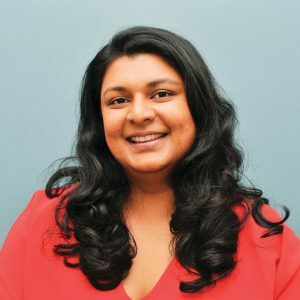 Priya holds a Masters in Public Administration from the University of Washington’s Evans School of Public Policy and Governance where she focused on cross-sector collaboration and social policy and served as the Program Manager for the University of Washington Food Pantry. Her graduate thesis “A Gap Analysis for Funding Homelessness Initiatives in Western Washington” for the Medina Foundation earned the Research Excellence Award for Non-Profits and Philanthropy. Priya centers her work in equity, wellness, community, and service. She lives in Seattle with her fiancé, Seth, and her two cats, Luna and Minerva. In her time off she can be found at Flying Bike Cooperative Brewery, Green Lake, or the many Farmers Markets around the city. 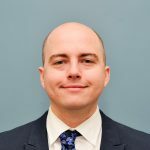 Jacob Thorpe is a legislative assistant to Washington State Representative Gael Tarleton. In that capacity, Jacob manages the representative’s office, including external communications, constituent engagement, and policy development. Jacob first volunteered for student government campaigns in college, and has since staffed successful Seattle Mayoral and City Council bids. 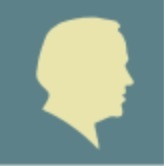 Jacob holds a Bachelor’s degree in political science from the University of Washington. After graduation, he spent four years in Pullman, Washington, covering Washington State University athletics as a reporter for The Spokesman-Review. While at the Spokesman, Jacob received awards from the Associated Press for feature writing and beat reporting. In his spare time, he enjoys reading, the theater, bridging the divide between Huskies and Cougs, and supporting Seattle’s nascent brewery culture. He is also a CrossFit regular, though he never, ever talks about it. 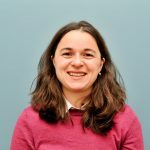 Emily Wittman is a Senior Economic Policy Analyst with Puget Sound Regional Council, implementing strategies that sustain job growth and global competitiveness in Kitsap, King, Pierce, and Snohomish counties while promoting a more inclusive economy for all. She is an experienced coalition builder and currently manages a statewide council working to strengthen Washington’s aerospace industry. Prior, Emily served Washington communities with U.S. Senator Maria Cantwell, helping the federal government invest in local workforce, transportation, and economic development priorities in all corners of the state. Emily received her Bachelor of Arts from the University of Washington, specializing in Political Science and Law, Societies and Justice. In her spare time, she can be found pulling pots during crabbing season and trekking through Washington’s wilderness.